A few members of the Tekla Labs team get together to build a Magnetic Stirrer. Schools play a vital role in expanding scientific knowledge. But a lack of teachers, budgets cuts, and teenage clumsiness have prevented many schools from updating--or even obtaining--basic lab equipment for experiments. The folks at Tekla Labs are hoping to fix that, by designing and publishing do-it-yourself guides for 3D-printed lab parts. To build out its library of 3D printing blueprints, Tekla Labs is hosting the PRINTmyLAB design challenge, crowd-sourcing ideas from the general public and offering prizes for top designs that show how to design do-it-yourself alternatives, or create novel, useful pieces of lab-ware. 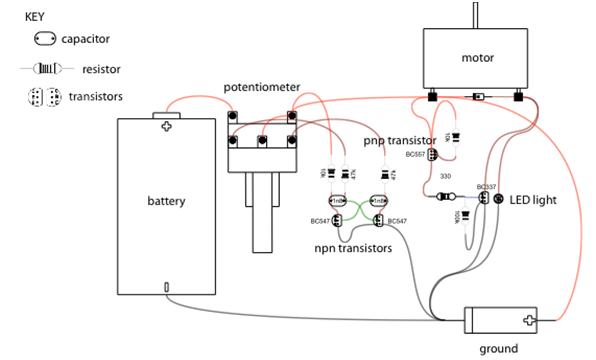 Wiring diagram for that magnetic stirrer. The design was submitted by a contributor from Massey University in New Zealand. Tekla Labs is an organization started by students at the University of California, Berkeley (with a branch at UCSF) after they visited labs in South American universities. The group noticed that many labs lacked what’s considered to be standard equipment back in California. Without things like water baths and stir plates, the labs could not perform many relevant experiments, limiting their research opportunities. A lack of equipment is a common problem, and not just for public schools and universities. Scientists working out of their garages and even some companies lack the resources they need to acquire vital supplies and equipment. The group at Tekla Labs knew that direct equipment donations would be costly and unsustainable. Time-consuming logistics and large payments would be required to get packages shipped across the globe, and there would be no way to ensure upkeep or repair for the instruments. The problem goes beyond complex machinery--a simple test tube rack can cost upwards of $20. When I met with some members of the Tekla Labs team, they told me that with a 3D printer, a scientist could make racks that suit their needs for a few dollars’ worth of plastic. 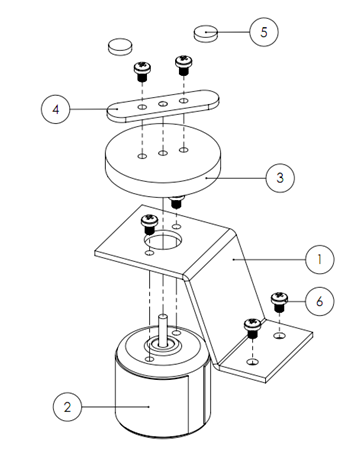 Building the magnetic stirrer's motor bracket. Having the right equipment is critical for research; many researchers have already figured out workarounds and built jury-rigged machines. Modern lab tools may seem like magic boxes where samples go in and results come out, but many are based on pretty basic designs, once you crack them open. For example, a Polymerase Chain Reaction (PCR) machine copies and amplifies DNA, but it’s really just a very precise heating element on a timer -- thanks to open-source enthusiasts anyone can build one. Not wanting to reinvent decades of optimization and design, Tekla Labs took a community-based DIY approach. 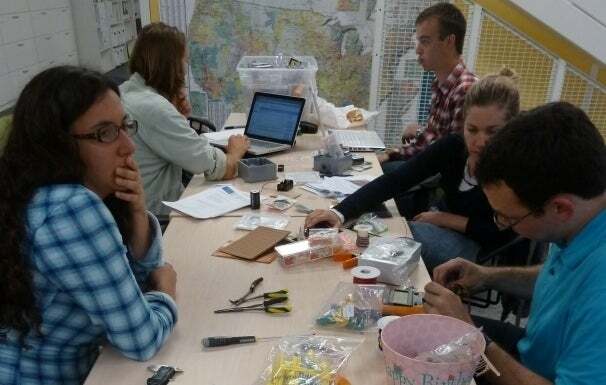 Tekla Labs is working to connect those who know how to make something with those who need it--like an Instructables for science. The DIY plans generally use common, locally available materials, and Tekla Lab members review and build plans to make them as easy and universal as possible. The idea is if a researcher can build their own magnetic stir plate then they can customize it, and (more importantly) fix or replace it when it breaks. And 3D printers can help. They’re rather expensive, but can be a solid investment with access to the right plans. And it's done! A magnetic stirrer uses rotating magnets to mix fluid samples. The accessibility offered by 3D printing can provide the tools needed in schools, labs, and even outer space. Tekla Labs is using a recently acquired RepRap Huxley to aid them in their mission to design inexpensive lab equipment using free, open-source tools. They’re a young organization, but they have already garnered support from MAKE, Autodesk and BigIdeas@Berkeley. If you’d like to get involved or offer your own DIY plans for the contest, head on over to the Tekla Labs website. But you’d better act fast--the last day to enter submissions for the PRINTmyLAB challenge is April 30th.